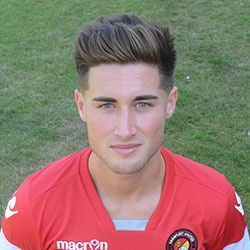 THE CLARETS are delighted to be able to announce the loan signing of Sean Shields from Ebbsfleet United. Shields joins on a one month loan from Vanarama National League South leaders Ebbsfleet, three days after the Clarets knocked the Fleet out of the Emirates FA Cup. And even though Shields, who began his career in Tottenham’s youth Academy, was named on the substitutes’ bench for Tuesday night’s Second Qualifying Round replay, the Fleet have agreed that he will be eligible to play in the next round for the Clarets when they take on Basingstoke Town on October 10th. The talented winger is a former Northern Ireland U-21 international and joined Dagenham and Redbridge in November of last year after playing just under 100 games for St Albans. The 23-year-old, who goes straight into tomorrow’s squad to face Oxford City, was then shipped out on loan to the Fleet before they signed him on a permanent basis in January. The Club would like to extend a warm welcome to Sean and wish him a successful and enjoyable stay. 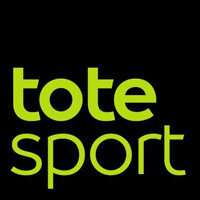  September 2015 Goal of the Month VOTE NOW for your Clarets Goal of the Month winner for September. Preview: Clarets Turn Focus to League Action  THE CLARETS return to League action this week as they host Oxford City for Grandparents Day (15:00pm KO).